In theory, eating healthy should be easy. Eat mostly whole foods. Include lots of vegetables. Create balanced meals. Control your portion sizes. Enjoy treats in moderation. Sure, it all sounds pretty simple, but all of this seems to become convoluted when we’re constantly bombarded with inconsistent information about nutrition, dieting and weight loss. Not to mention it takes much determination and mindfulness to choose what you know is the healthier option when you're confronted with food choices each day. Suddenly, figuring out exactly what to eat or which diet to follow in order to achieve your goals feels much more complicated than simply "eating healthy". Whether you heard it from a friend, read it on the internet or saw it on TV, with so much differing information about nutrition floating around, trying to decipher what’s fact and what’s fiction might feel a bit overwhelming. There are a lot of misconceptions about diet, nutrition and weight loss, but as of late these six are a few of the most common. So to help set the record straight about each, I talked with Jill Weisenberger, MS, RDN, CDE, a Virginia-based registered dietitian nutritionist and author of The Overworked Person's Guide to Better Nutrition. Below she debunks six nutrition and weight loss myths that simply just aren’t true. 1. Myth: You shouldn't eat white food. 2. Myth: “Processed” foods are bad. Popular diet advice likes to warn people against processed foods, mainly packaged products that include artificial ingredients or an overwhelming amount of preservatives. While it’s a smart idea to steer clear of packaged “junk” foods that don’t offer much in terms of nutrients, you don’t need to avoid every single thing that’s technically considered processed. “Processed foods include canned beans, canned tomatoes, natural applesauce, canned tuna, yogurt and so, so many more,” says Weisenberger, who considers all of these part of a healthy, well-balanced diet. 3. 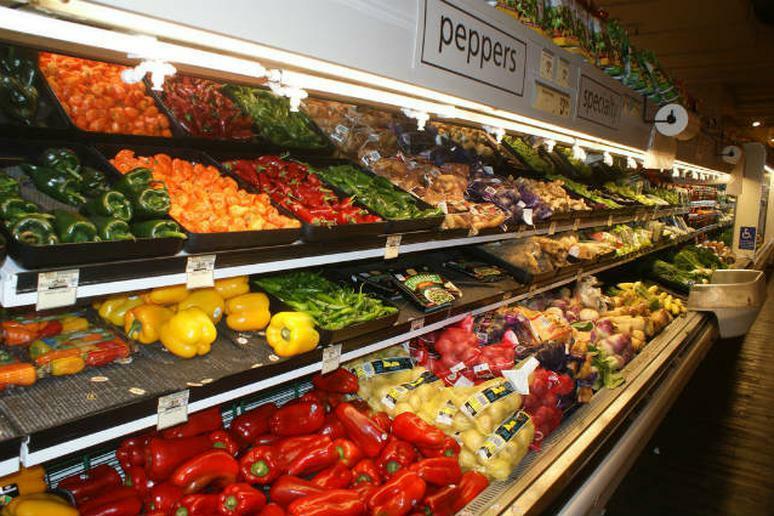 Myth: You should shop the perimeter of the grocery store. 4. Myth: To lose weight, you have to eat often. “Actually, the research does not suggest that several mini meals is either better or worse than three larger meals for weight control,” says Weisenberger. More so, it’s smarter to follow an eating schedule that works best for you and your individual needs. "People who want to lose weight or improve their diets should look at the quality of their food intake and the amount of food and calories that they eat," Weisenberger explained. "Both of these are of extreme importance, whereas the number of meals and snacks is of little importance. I don’t care if my patients eat three times per day or four or five or six or seven. They should pick the meal and snack schedule that works for them and not one that has been arbitrarily dictated to them." She goes on to explain that snacking should be treated as an opportunity to fit in food groups and nutirents that may have been missing at other meals. "I like to have a snack mid-afternoon to help prevent extreme hunger before dinner is ready. I’m rarely hungry at other times between meals, so I will rarely snack more than once in the afternoon," she said. "I use that snack time as an opportunity to eat foods that I need more of. To me, a snack is food between meals. Unfortunately, sometimes people equate snack with junk food." 5. Myth: To lose weight, you need to accept being hungry. Weisenberger says that constantly being hungry is a great way to make sure that you’ll quickly give up on your diet and weight loss goals. “Instead eat filling, lower calorie foods like lots and lots and lots of veggies,” she said. “Research suggests that eating a broth-based soup or low-calorie salad before a meal, helps us trim total calories without going hungry." 6. Myth: Fat is bad. “Actually, it’s the type of fat that matters more than the amount of fat,” says Weisenberger. “A little fat is good because it helps us absorb fat-soluble vitamins and other health-boosting compounds from our foods.” Aim to incorporate healthy fats in your diet like from nuts, avocados and olive oil. 7. Myth: Carbs are bad. Just like with fat, carbs often get a bad rep, too. "It seems that protein is the only universally loved macronutrient," said Weisenberger. "There are many ways to a healthy plate, including carb-heavy meals. The problem with carbs is that they are lumped together, but toaster pastries and black beans do not belong in the same category. Instead of grouping foods by their macronutrients, I prefer to look at their quality. Peanuts and almonds are low-carb nutrient powerhouses. Cantaloupe and lentils are high-carb powerhouses. One pair is not better than the other. Let’s look at the nutritional quality of a food. Let’s look at food groups instead of individual nutrients. And, please, let’s stop demonizing any macronutrient."